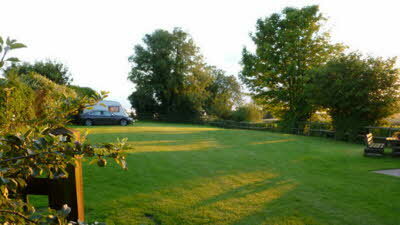 Manor Farm CL is on a working farm, with a generous two acre mown meadow, very slighty sloping it has 16amp electricity, water and chemical point. The site is in the centre of the village, only 5 minutes walk to the village store, bus stop, and local pub/restaurant, which serves delicious home cooked food. 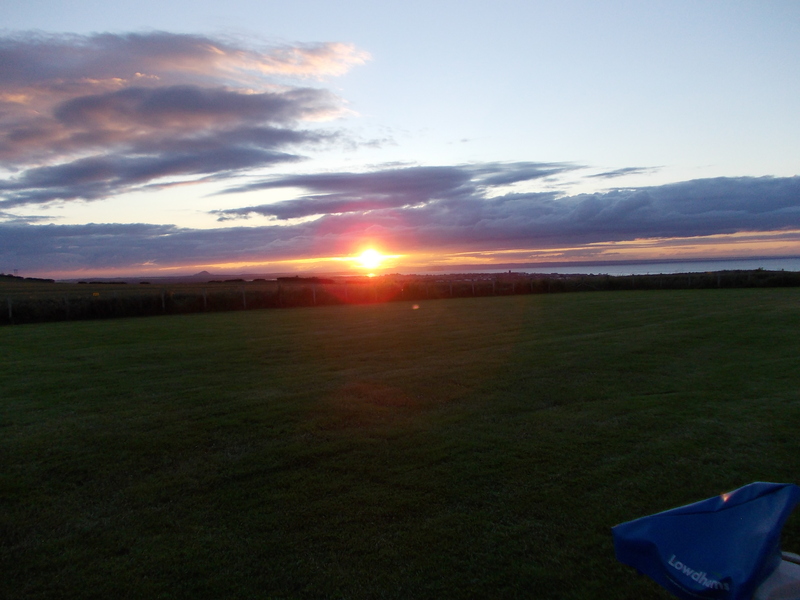 We are close to Sandringham, Hunstanton, Burnham Market and approx 25minutes from the beautiful North Norfolk coast. The Norfolk country retreat of Her Majesty the Queen, is set in 60 acres of beautiful gardens and open daily April until the end of October. Enjoy the main rooms of the magnificent House, explore the fascinating museum with extensive Royal car collection, the charming parish church, 600 acres of country park, playground , waymarked trails, restaurant, tearoom and gift shop. One free child ticket when accompanied by one full paying adult to either the Gardens & Museum or House, Gardens & Museum. 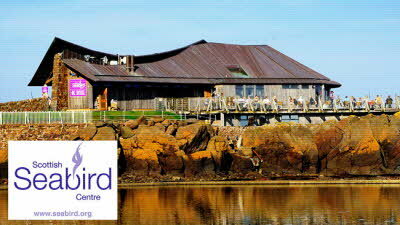 Visit the Scottish Seabird Centre, where you can control cameras positioned on islands around the Firth of Forth. Zoom in on amazing wildlife locations including the world-famous Bass Rock, the world's largest Northern gannet colony and the Isle of May, the biggest puffin colony on the east coast of Britain. Thought this site was going to be a gem but how disappointing. Noisy trucks and tractors from 6am, road is a cut through but worst of all over 5 vans on site more than twice which lead people to park their vans between others so feel as though on top of each other. Less room between vans than on proper site. Not impressed when only meant to have 5 vans. Would not use again and would not recommend. Managed to get a break due to family commitments and just wanted to chill out and play a little golf. Only intended to stay for four days but ended up staying eight. Found the owners very nice people and good company. The cl is our kind of place to stay, we found it quite, nice area to stay. The golf at the major courses nearby, Hunstanton, Kings Lynne were £65 / £75 to expensive for us! but we found Middleton and Heacham Manor more reasonable using a county card and the staff were very nice and helpful. Sandringham is only down the road and would recommend the pub at Holme by The Sea. The local pub on the outskirts of Grimston is also very nice or if you wish to self cater there is a large Asda just off the main Kings Lynne to Hunstanton road. Very enjoyable stay. 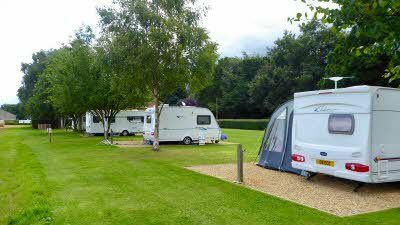 We stayed at Manor farm for a late June weekend. I have to say Mrs Coe was very pleasant and was accommodating for our wish to stay on for an early lunch before moving on allowing us to make more use of the weekend. The gate for entry to the site is tight coming directly off the drive as I found when I arrived, but the gate opens out close to a very large yard and is extremely comfortable to loop round and drive straight in or out off, and it becomes child's play - again the owner was happy we undertake such a manoeuvre.. On entering the site there is a very large nicely mown field, with more than enough space to set up. The rest is pretty much what you would expect from a CL. We followed the route in the book from Kings Lynn to get there and over rid the Satnav, however on further exploration we found that the suggested Satnav route (Lynn Road and turning right in the village next to the clock tower) to the site was much better than the suggested one. We were also woken up earlier Friday morning by farm machinery. As for the area, we love the mountains, so Norfolk isn't a natural choice, but it was good to see something different. Walking may not be great, but big shies and interesting strung out villages, that feel lost in time sort of make up for it. That being said we are looking for a number of weekend options and like to change where we go. I certainly will look to head back. It is easy to criticise, but we need as many CL's as possible, working farms are exactly that and they offer us an essential break from the norm. Additionally at £10 per night you get excellent value. We loved this site. Good value for money. Easy access and in walking distance of shop pub and bus to Kings Lynn and surrounding area. Lovely friendly owner who called to collect fees and a chat. Good start to our months tour of Norfolk. This is a very easily accessed CL, suitable for all units. Village shop, post office and pub are all within an easy five minute walk, where there is also a bus stop with an hourly service to the bustling town of Kings Lynn. The site is formed on a slightly sloping grass field with undefined pitches positioned along the length of the field. TV and mobile phone signals are very good. One drinking water tap and the chemical toilet emptying point are basic but acceptable. 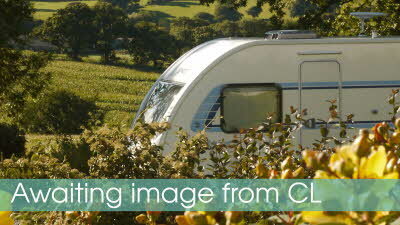 This is a good site for visiting the north Norfolk area and I recommend it.